Since I had so much fun writing my last post about AppsGoneFree, I thought I’d follow up with a quick look at a few other places to find great free apps. After all, there are about 750,000 live apps on iTunes and it gets harder and harder every day to find what you need. I know it frustrates me, and it probably frustrates you too. The good news is certain websites and apps are specifically designed to narrow your choices and help you find quality apps that are free or on sale for a limited time. 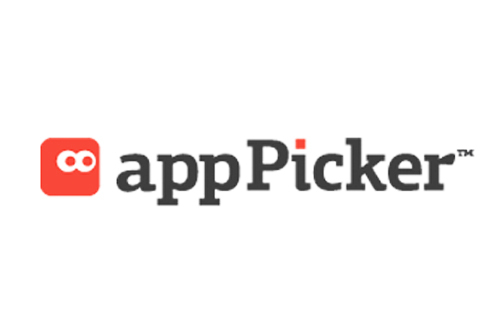 appPicker is a one-stop shop for app lovers! You can find staff reviews, reader reviews, “best of” lists, apps for free or on sale, interviews with developers, and developer announcements. You can even watch short but informative trailers to see if an app is worth the download! The Developer Announcement section is cool because it lets developers share news and updates about apps that you wouldn't normally see on app review sites. Readers and developers can openly interact in this section, which can only improve the app's quality as developers get feedback from users. As an app developer myself, I can appreciate how valuable this kind of interaction can be. I also love the Interview section where readers can get a behind-the-scenes look at the development process. A lot goes into the making of an app, and this section allows users to read interviews with developers and get a real sense of not only the people who created the app, but what it took to get it into the hands of the user. While appPicker doesn’t appear to have its own app, the folks at appPicker are clearly on a mission to provide us with a way to find the best apps available. Its editorial team writes and publishes at least six app reviews a day and maintains categorized best apps lists. 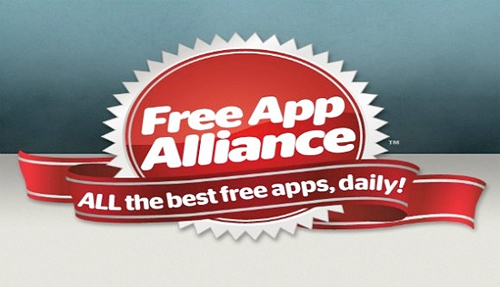 Free App Alliance places them all in one well-organized website. It also has a free app available for download, making it that much easier to get the apps that interest you. The website has filters so you can find only what you want. So, for example, if you’re looking for a great photography app, you can filter your search to only include relevant apps. It offers tons of choices accompanied by their star rating and link to the iTunes store for download. This site is so easy to use it makes me positively giddy. And I like the app too! Like the website, it’s intuitive to use. It also loads quickly and takes you to the App Store in a flash. What sets this site apart is instead of simply culling ALL the free or on sale apps available, it selects the best ones so readers can be sure what they find won’t turn out to be an epic disappointment. So far, all the apps I’ve tried from Free App Report have not sucked. It’s living up to its promise! And of course, with the free app, you can search for and download apps right on your device. Most of the apps it features are usually paid apps, which are on sale or free for a limited time. Numerous other sites (like AppAdvice, App Chronicles, and Free App a Day to name a few) provide similar services to the three I’ve reviewed here. These are just my personal favorites. Do any of you iPhone Life-ers have a favorite source for free apps? What have your experiences been?